Spring is in the air and Easter is right around the corner. I love this time of year when the flowers start to bloom (at least in North Carolina, where I live) and the colors around us seem to shift from greys to pastels. One of my favorite spring traditions is dying Easter eggs with my children, then enjoying the lovely colors we created together. 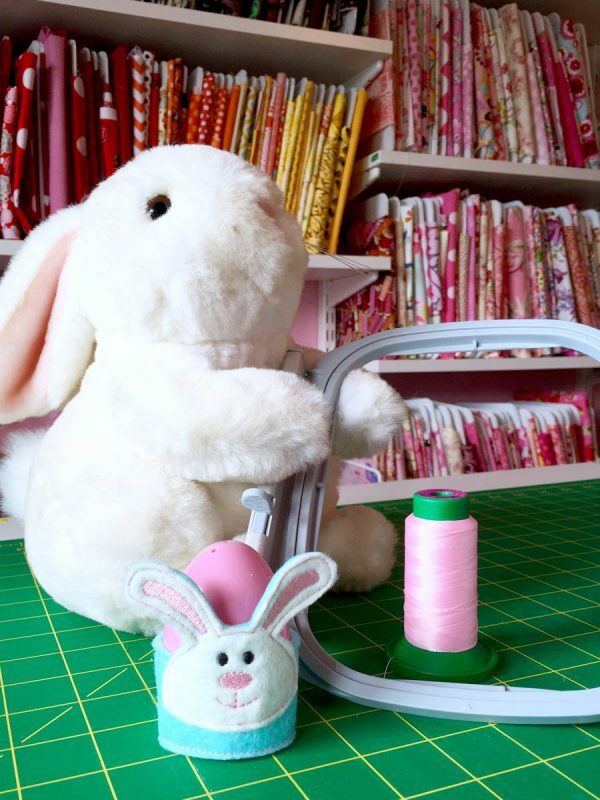 This year, my daughter and I are starting another Easter tradition—this time in my studio, when we spend some Mommy/Daughter time together stitching a sweet set of Bunny Easter Egg Holders to display on our Easter table. 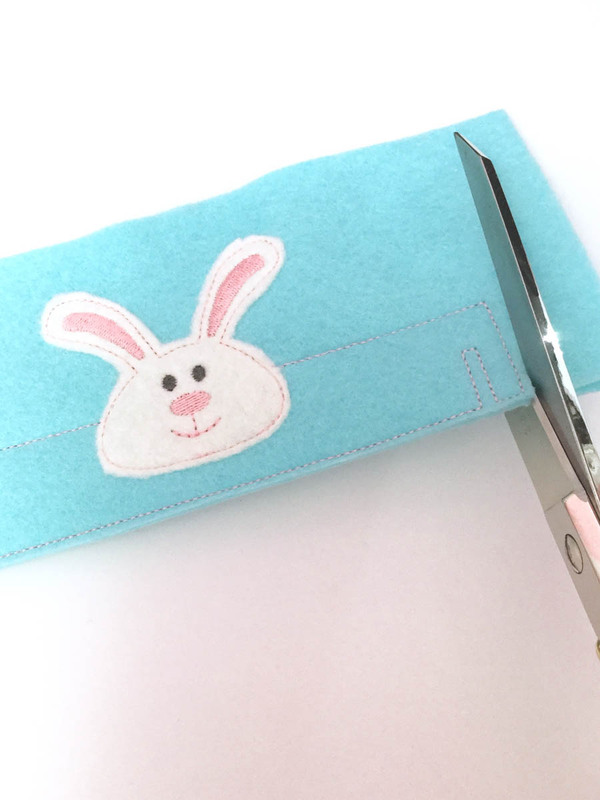 I hope you enjoy stitching your own set and start a new family tradition of your own! 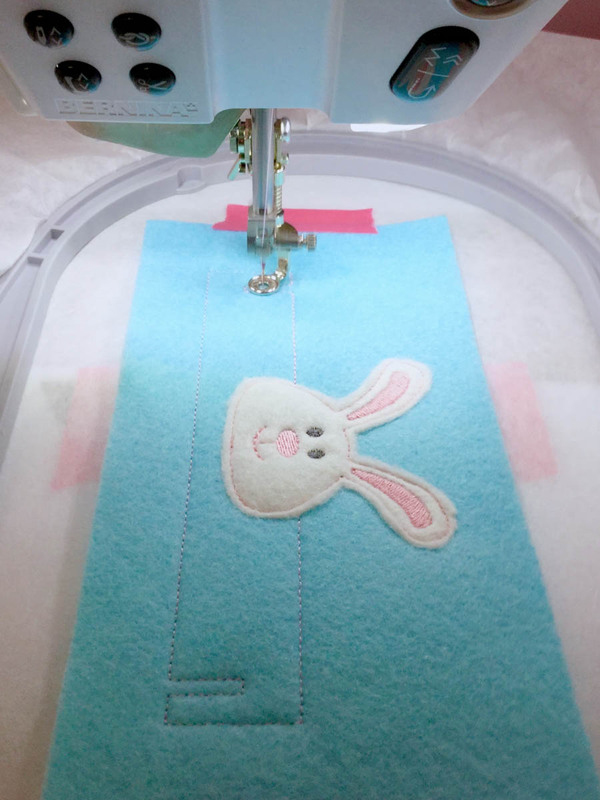 Bunny Easter Egg Holders are made right in the hoop of your embroidery machine. 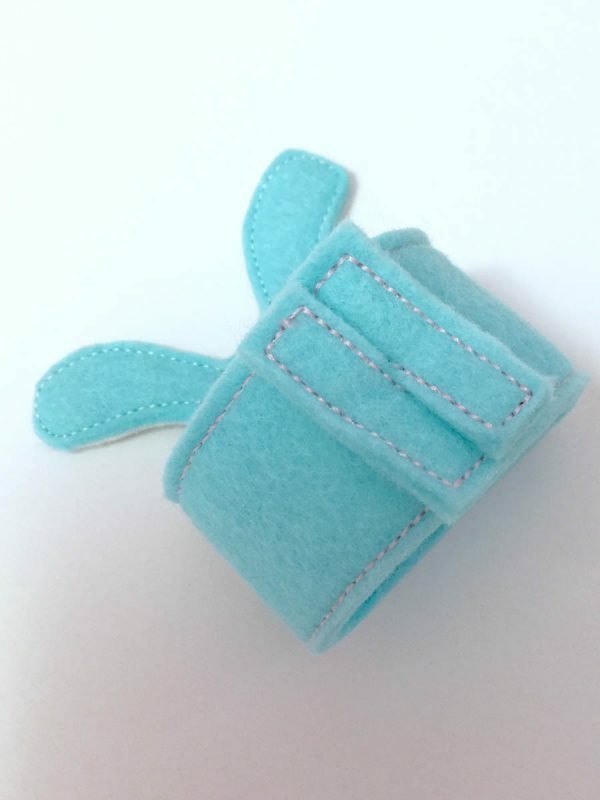 I love using wool-blend felt with my ‘in the hoop’ projects since it cuts cleanly, embroiders beautifully, and keeps its shape, plus it will hold up for many more Easter Celebrations! Ask your local BERNINA store if they carry wool-blend felt so you can give it try and see for yourself. 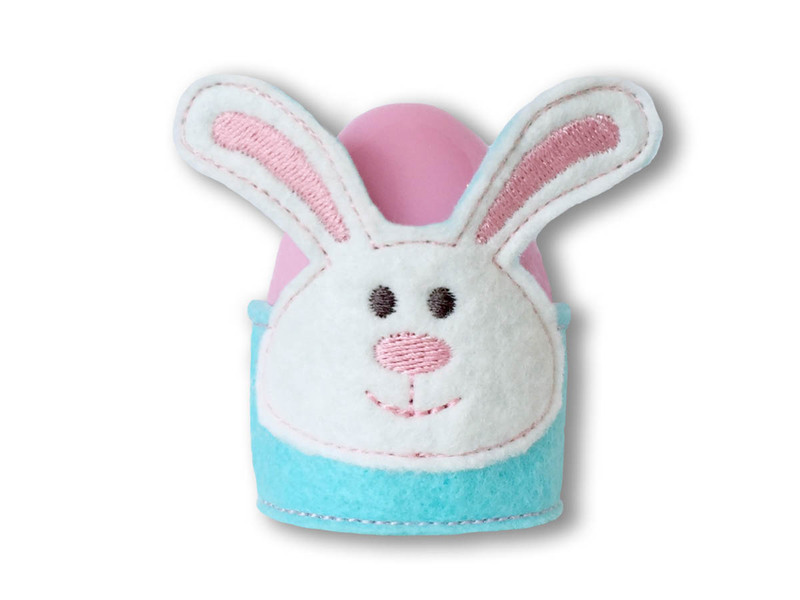 For an extra-special touch, you can personalize your Bunny Easter Egg Holders using BERNINA Embroidery Software. You’ll want to add the name or monogram after Stitch Sequence 2. Hoop a piece of tearaway stabilizer in your Large Oval Hoop. placement line. Tape in place. 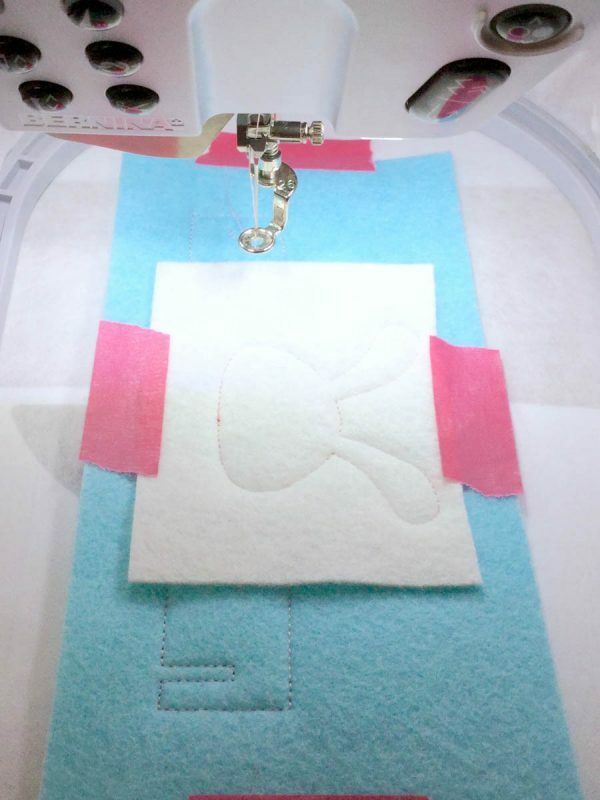 Sew Stitch Sequence 3 to create a cutting line. 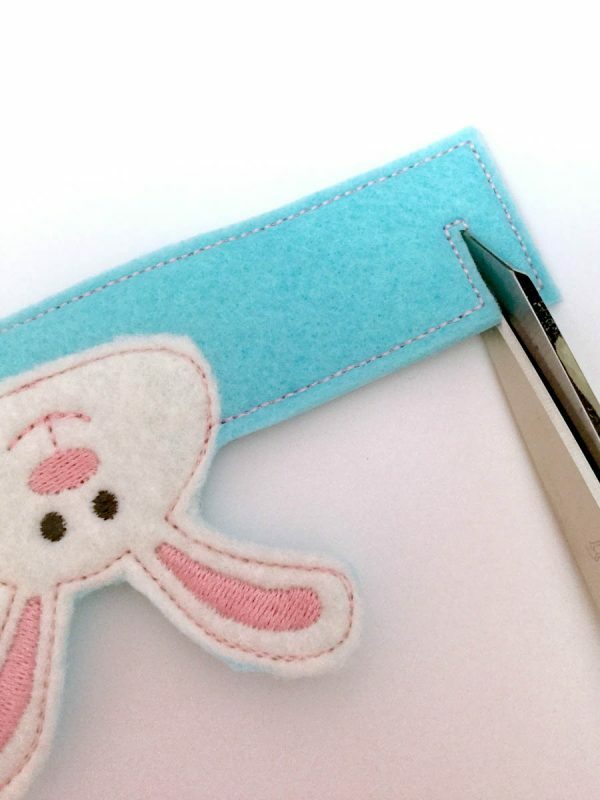 cutting line, being careful not to snip the stitches. 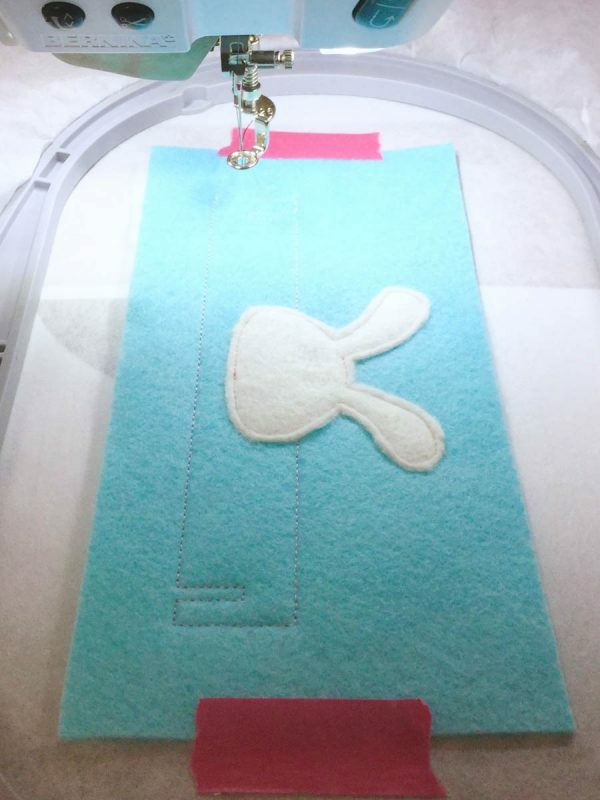 Using pink thread, sew Stitch Sequence 5 to create the bunny’s mouth, nose, and ears. back. 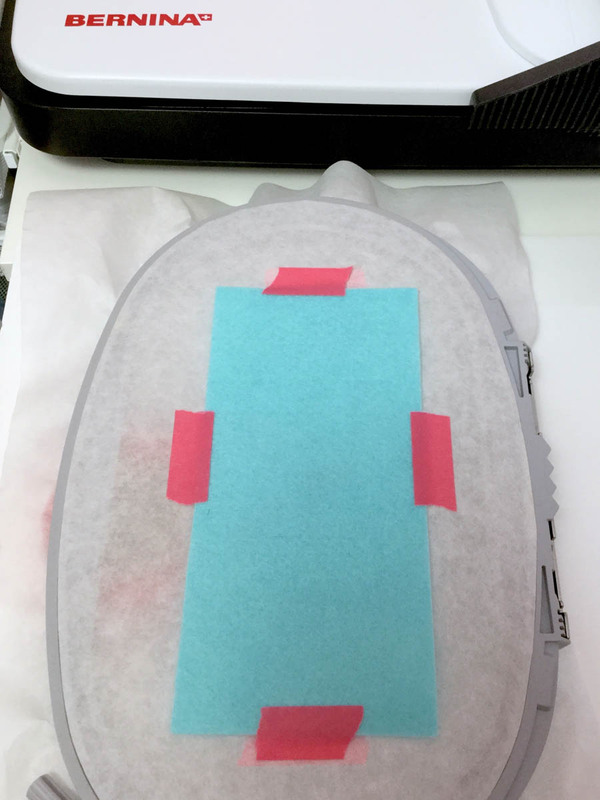 Place the final piece of felt over the placement lines and tape in place. Replace the hoop on the machine. Sew Stitch Sequence 6 to complete. Remove the project from the hoop and tearaway the excess stabilizer. Trim around the project leaving a small border. Pop a pretty Easter Egg inside your adorable Bunny Easter Egg Holder! 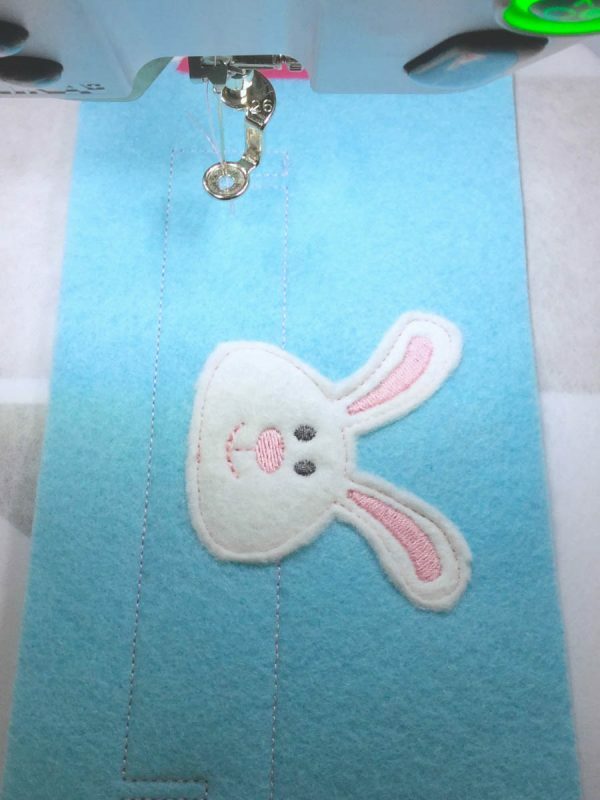 Easter Egg Holder by Lisa Archer, BERNINA Ambassador, Home Embroidery Spokesperson, and owner of Pickle Pie Designs. In this case, it’s length x width. This was my very first “In the Hoop” project. I had so much fun! sewweall – I am not sure how to respond to your question. Wish I could help. It doesn’t seem to matter which is width and which is length. 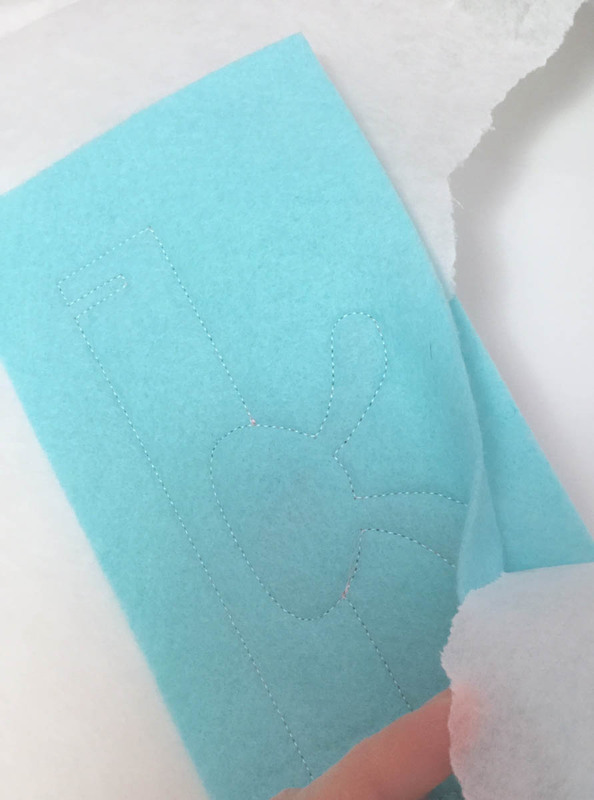 I did use pink thread for everything except the eyes – made it easier! I cannot get it to download to my USB stick. 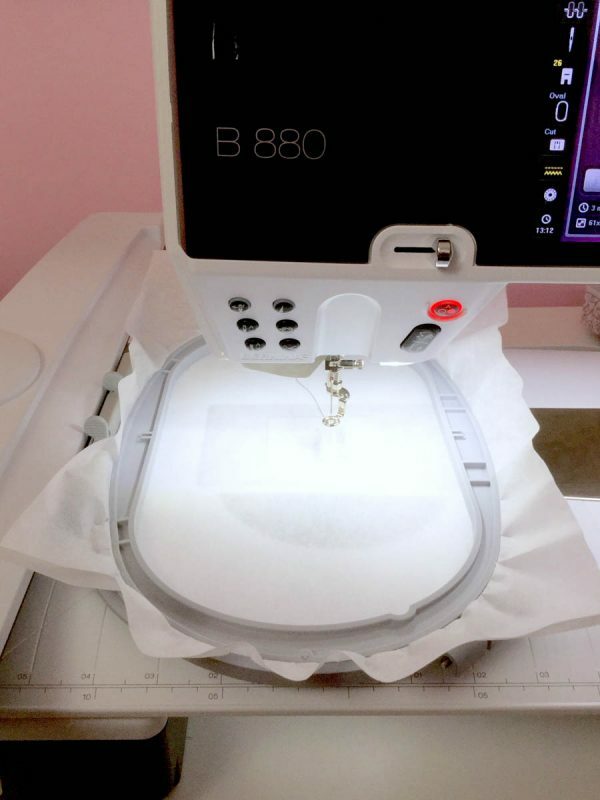 Hello Bonnie, you must unzip the folder and save the designs to a regular folder before transferring the desings to your BERNINA for embroidery. 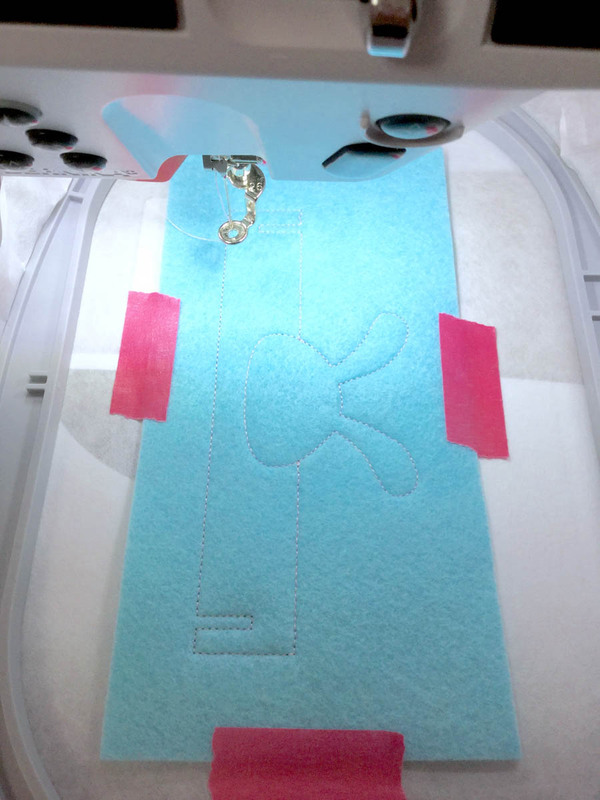 You might find a few tips to transferring designs in our free, downloadable eBook here: https://www.bernina.com/en-US/Learn-Create-US/Projects/Embroidery-Projects/Embroidery-ebooks/Just-EMBROIDER-It-Sending-Designs You can also connect directly with your BERNINA store for questions about transferring embroidery designs to your BERNINA embroidery machine. 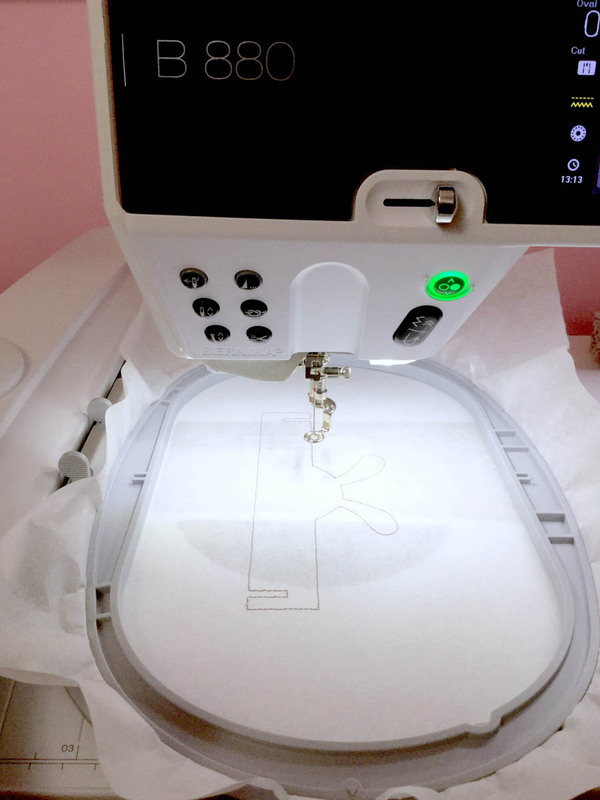 Happy embroidering!